“So I write crime, but really I just write people” writes Belinda Bauer on her website and this sums up her novels perfectly and explains why I enjoy her novels so much. Set in suburban London in 2000, The Shut Eye focuses on the disappearances of two young children and we re-encounter DCI John Marvel, the detective who featured in Darkside set in 2011. In this earlier incarnation we see Marvel as the same, sullen, thoroughly disagreeable character who treats his colleagues with derision and disrespect but his one saving grace is his determination not to give up on young Edie Evans who vanished a year before. There might be a connection with the recent disappearance of two year old Daniel Buck but his mother Anna is quite literally mad with grief and is seen as more hindrance than help. The Shut Eye of the title refers to a term used by psychics to describe those who firmly believe they have psychic powers. Enter Richard Latham, local psychic who failed to help in the Edie Evans investigation but might still be of use to Anna Buck. 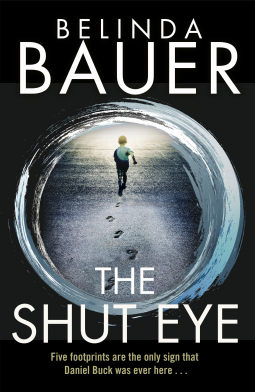 This psychic element might prove unpalatable for some readers but it isn’t the main crux of the novel – the key is in the varied and fascinating line up of characters provided by Bauer. 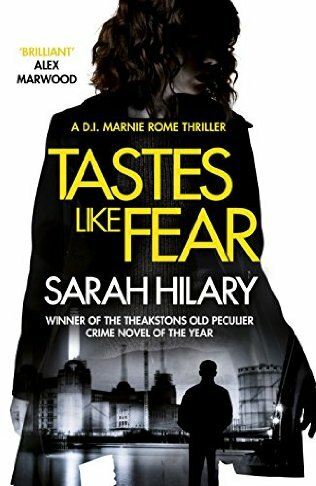 She is simply brilliant at creating credible, complex characters from the distraught mother to the dodgy garage proprietor, from the quietly confident policewoman to Marvel’s saint of a girlfriend. Added to the mix, is a layer of dark humour cleverly woven through the plot so it’s not all doom and gloom. A compelling read which kept me gripped from start to finish. Highly recommended. My thanks to NetGalley and Transworld for allowing me a digital copy for review purposes. I must admit to being very envious of the youth of today, given the plethora of well written YA Historical Fiction which was sadly lacking in my younger days. Alison Rattle proves she is a force to be reckoned with, given the quality of her debut YA novel, The Quietness. This is the story of two teenagers, Queenie and Ellen, who have very different experiences of life in London in 1870. Queenie is struggling to exist in the dark, impoverished side of the city whilst Ellen leads a privileged but not necessarily happy life with her austere, emotionally challenged parents. As the story progresses, the two girls find their lives interweaving but don’t expect a fairytale ending! The author excels at painting a realistic picture of late 19th century London, you feel the physical hunger of Queenie and her siblings and you are confronted with the seedier aspects of poverty, crime and prostitution. Also examined is the distasteful Victorian practice of baby-farming whereby unwanted babies were, for a small fee, taken away by ‘kindly’ ladies who were supposed to find them new adoptive families. Women have few rights, be they low or high born and even the more socially elevated Ellen finds herself under the complete control of her unfeeling father. For all the social disadvantages facing Queenie’s family, they definitely have a more loving relationship… albeit tough love. Detailed scenes of childbirth make this novel more suitable for an older reader, most likely girls aged 14 and over. If you enjoyed Fallen Grace by Mary Hooper, you will be equally engrossed by The Quietness. Looking forward to reading more by this author. Francesca Kay won the Orange Prize for New Writers in 2009 for her first novel, An Equal Stillness, a fictional biography of a female artist. 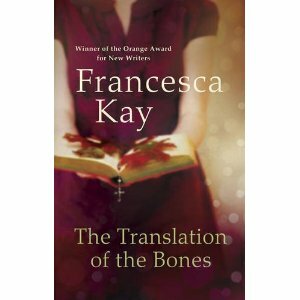 In The Translation of the Bones she explores new territory, setting her story in a quiet Roman Catholic parish in Battersea, London – well, perhaps things are not as they seem and the peace and calm belies a whirlwind of emotions and tumultuous questions about faith, organised religion, relationships especially those between mothers and their offspring. Mary Margaret O’Reilly is a devout young parishioner, spending most of her time cleaning the Sacred Heart Church. She is described by the parish priest as a “duine de Dhia” which literally means “child of God” but which used to be the Irish term for a child with special needs. Whilst cleaning one particular statue of Jesus on the cross, she witnesses a “miracle” and she believes the statue is actually bleeding. Religious hysteria and frenzy ensue and the church suddenly becomes the focus of manic religious fervour. Indeed the story reminded me of the many reported sightings of “moving statues” in Irish churches during the mid-80s – folk are always hungry for examples of modern “miracles”. However, the “miracle” is merely a backdrop to the stories played out by local parishioners including Margaret Mary’s reclusive mother, Fidelma who is confined to her high-rise flat where she reminisces about maltreatment by the “holy” nuns whilst waiting for her daughter to feed her. Stella Morrison feels the removal of her son to boarding school like the cutting of the cord, Alice Armitage keeps herself busy tending to the needs of elderly parishioners in an effort to distract herself from the pain of having her son fighting in Afghanistan. After a decade in the priesthood, Father Diamond, still finds himself questioning his vocation. One would be forgiven for thinking that the Sacred Heart parish is indeed in a “state of chassis”. I really enjoyed this novel – there are times when loud and brash does the trick for me but I also appreciate those quiet, unassuming books which gradually reveal little gems of characterisation and exploration of themes, here, the painful nature of motherhood, the role of faith in our lives, the frightening aspects of change. The lack of chapters, speech marks could sound alarm bells amongst prospective readers but I can assure you that the prose flows so smoothly that I didn’t even notice their absence until I finished reading the novel and flicked through it – she’s that skilful as a writer! Whilst reading I was reminded of the writing of Brian Moore (The Lonely Passion of Judith Hearne) which is another reason I’m looking forward to reading more from the pen of Francesca Kay.